Thank you to everyone who took the time to complete our online survey, speak to us on the doorstep or email with your ideas – we have passed on your comments and preferences to the tree officer who is busy checking locations to see if they are viable (in terms of eg wires under the pavement). We have secure dozens of trees to be planted in February across the ward – and we want your help to choose locations and varieties. 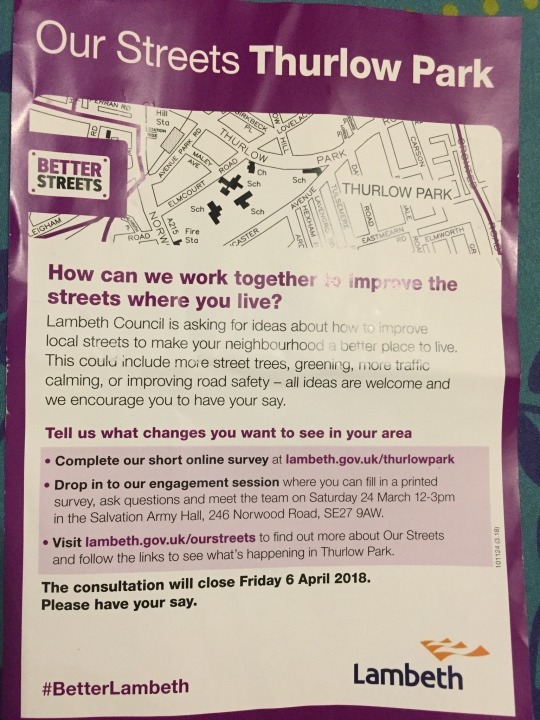 To get as much input from residents as possible, we have put together an online survey, sent emails, met with residents associations, doorknocked on streets across the ward and delivered flyers to homes near potential new tree pits. Many of you have been in touch with your requests and ideas – thank you! These have all been passed to tree officers who will evaluate the suggested sites (eg for wires under the pavement) and will where possible source your preferred trees from the nursery. If you haven’t shared your preferences – now is your last chance to do so! The deadline for the survey is tomorrow Monday 10th December. Please let us know your favourite tree varieties and spots across the ward you think could do with some extra greenery, and encourage your neighbours to respond too. The Woodland Trust, Helen Hayes MP and the Friends of Brockwell Park organised a tree planting event in Brockwell Park. Cllrs Fred and Peter had a great time helping to plant the trees.